It’s time for another installment of Classical Music Travels, where we use great music that has stood the test of time as a gateway to learning about different parts of the world. Today we are traveling to a bit of an unconventional destination: Hungary. And Johannes Brahms is going to be the one to take us there. Interested in previous destinations? Take a trip to Paris, Russia, or Spain. Johannes Brahms is most famous for a tune you certainly know. See if I am right. Besides his famous nighttime tune, he is also well-known for how he introduced the world to Hungarian folk music. Which he accidentally stole, but we will get to that in a minute. Raised in a working class family, Brahms had to use his talent to make his way in the world. As a teenager, he played music in bars “down by the docks” (read: some pretty unsavory establishments). The story goes that he was so talented he could prop a book up on the piano and fulfill his desire to read voraciously, while still tickling the ivories for some coin. Thankfully his talent didn’t stay hidden for long. Brahms was discovered by famous Hungarian violinist, Eduard Reményi, who invited him to come on tour as his pianist. Playing regularly for Reményi introduced Brahms to a host of Hungarian folk melodies. Johannes thought these were just local tunes, familiar to all, credited to no one in particular. Brahms would later incorporate many of those tunes into a series of 21 dances, and those dances would go on to be some of Brahms’ most famous works. Turns out those “folk tunes” had actual composers. Brahms was plagiarizing without even knowing it. Hungarian Dance No. 5 is the most famous of the collection. It’s upbeat and fun, with lots of tempo changes (meaning it goes back and forth from fast to slow). Hungarian Dance No. 1 is the second most famous. It has a little more of a sweeping, dramatic feel. 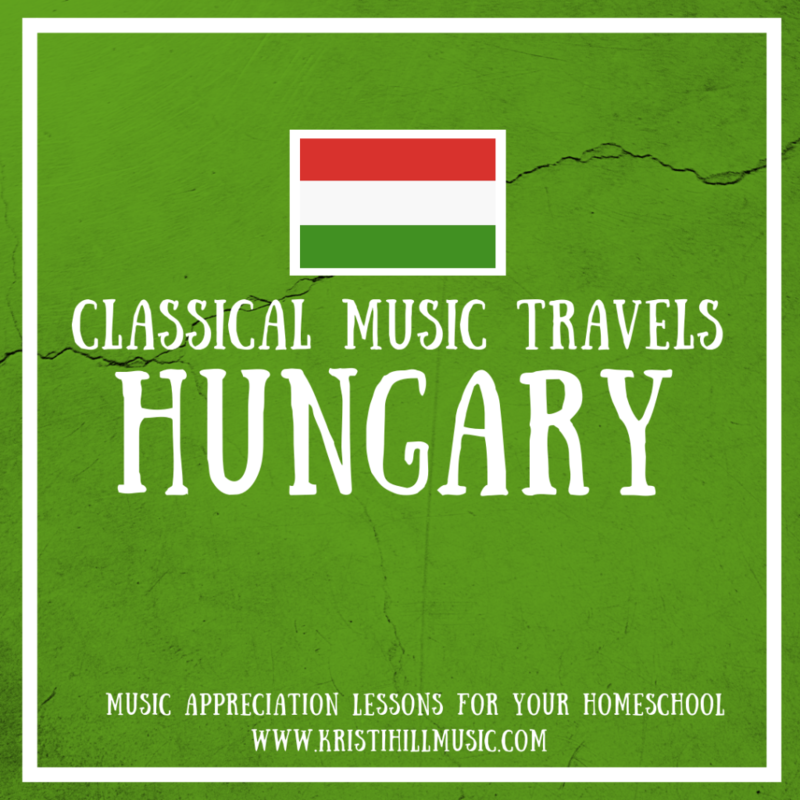 With Brahms’ dances as our gateway, let’s learn a little bit about Hungary! Create a Hungarian flag. Compare it to the Italian flag for a simple lesson in horizontal vs. vertical for pre-school/early education. Find Hungary on a map. Note its border countries and capitol city. Find a bit of Hungarian history HERE. Learn about the capitol city of Budapest HERE. Note its nickname as the Queen of the Danube (and throw in an extra music soundtrack with THIS piece written by Brahms’ good friend, Johann Strauss). I hope you have enjoyed exploring Hungary and Johannes Brahms’ famous dance tunes. Enjoy!